Active Bloggers qualify?? I always thought you had to be retired for 5 years before you could be nominated for the hall of fame. I've seen no crocodile tear-filled press conferences with Blog members announcing their retirements yet. Imagine that... a boatload of Laker-Piston trolls as our eligible HOF candidates...might have to keep it open to the active-folk, eh? See, I'm already in the SW Hall of Fame (or is it Infamy?). That's enough for me. As for TA, I'm really hoping he gets a deal, for my sanity. I am a man of my word, after all. TP for making me chuckle, Brick. And no, it's certainly not infamy...I was just about to post to clarify that I was just messin' with ya....but glad to see that there was no need for that. Always enjoy chatting. Would we have to retire from the blog for 5 years to be eligible? I think I'm leaning with darklord on this one. Obviously, making people wait for 5 years after retiring doesn't make sense for a blog HOF. You have to include active bloggers, but there should be a waiting period (e.g., minimum of 2-3 years as a blog member). I think he was just joking!! 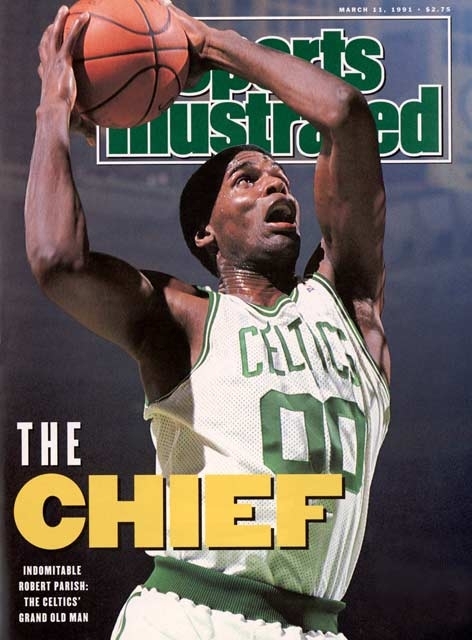 We could also have CelticsBlog Superlatives, you know like they have in high school yearbooks. As I was researching this, I came upon the following link, click on it and read the very last superlative!! I love my kids, call me a sap - it's true. While we're at it, why don't we have an indication for how long the person has been a member, I've been coming to CelticsBlog since late 04 or early 05 and I'm relegated to PJ Brown status, like I'm a midseason pick up who hopped on for the championship ride. That's annoying. I know I don't post often but I've been a loyal CelticsBlog visitor. I'm just a celticsblogger. We gonna blog on a sock, we gonna blog on a sock. You can see the date a member registered in their profile (in your case, December 30, 2006). That's when the current version of CB opened (or thereabouts). I think he was suggesting that the member registration date ought to be included on every post - just like the post count is. It's a good idea. Nice suggestion SS, and good find with the SI article. TP. I'll withhold my self nomination for best looking (ahem) and also my picks for other nominations, especially "Most Likely to Live in His Parents Basement for Life". NP Steve. C'mon, you think I'm that much of a softie? Amen. Count me in, too. The last go-around was my pleasure. One little problem you may have not considered. If you nominate these guys for people to say all these nice things about (well deserved) you also open it up to people arguing AGAINST them being in the HOF (often well deserved too). This then becomes a personal attack on their comments/intelligence/opinions. Since that is not allowed on here, then it really becomes a forum of nominating everyone with no one able to contradict their worthiness. The nice thing about the TP's, is that you can give Kudo's to someone about one comment, while thinking another is absolutely wrong. I think a lot of you are somewhat missing the point and looking at this as a status thing and not a history preservation project. I know not who C-Bill or hagrid or Crotor are. Until this very thread I didn't know Celticsblog started as a Globe/blog project. I'm sure these are things I would love to read about. Younger members already ask who Celticthug is/was, the deli rumor guy, and have no idea what Redz original name was. How long does one have to be on the blog to remember those things. This blog and the internet will not be disappearing anytime soon. Why not preserve our history. Honestly, I think the first several years of inductees probably wouldn't even have a posting member be inducted that is current. Wouldn't the originators, the first famous mods, the first tech people and authors and contributors, historic posts, threads, articles and days in CB history be the first additions to such a Hall. I don't happen to think this should be a mod controlled piece of the blog. So get that out of a lot of your heads. I don't think this is a way of once again recognizing posters, although eventually I think posters would get into the Hall. I think the deciding committee would of course be headed by Jeff, other Hall members willing to participate, and a small committee. They would have final say based on the yearly candidates that are voted forth from the membership. Or something like that. And it should be very, very difficult for a regular poster to get in. Hence yearly entrance and small amounts of people. Apparently it has been leaked that TP totals can indeed by doctored and some look upon them as status symbols. The Hall would not be something that a poster thinks he or ahe can attain by cheating the system or trying to booster their ego. It is history preservation. Some day NBA.com is going to want to have the game thread of game 4 of the the first Celtic cyberera NBA World Championship. On the internet that game thread could become "Havilcek stole the ball" for generations as people read how Celticsblog went from utter dispair to unbridled jubilation. How many sports based blogs are going to have the ability to say they have preserved such history for the world to see? This is a good point. When we think about Hall of Fames, generally, its about sports, where you can look at numbers and championships, and things like that. For this, unless you are basing everything on things like post count or TPs, you are going to be getting into a huge gray area of opinion. So what is a hall of famer? Is it someone who is knowledgeable? Is it someone who is articulate? Is it someone who is "notorious" (for lack of a better word)? Although I think it is a funny idea in theory, I do think having a "Hall of Fame" for people, who are simply sharing their opinions is a bit unnecessary. Especially when you consider that this is supposed to be a community that encourages intelligent discourse, I don't know if encouraging the vain attempt to gain recognition is the best way to promote it. But that is just my two cents...I bet you all wish we still had negative TP's, don't ya?